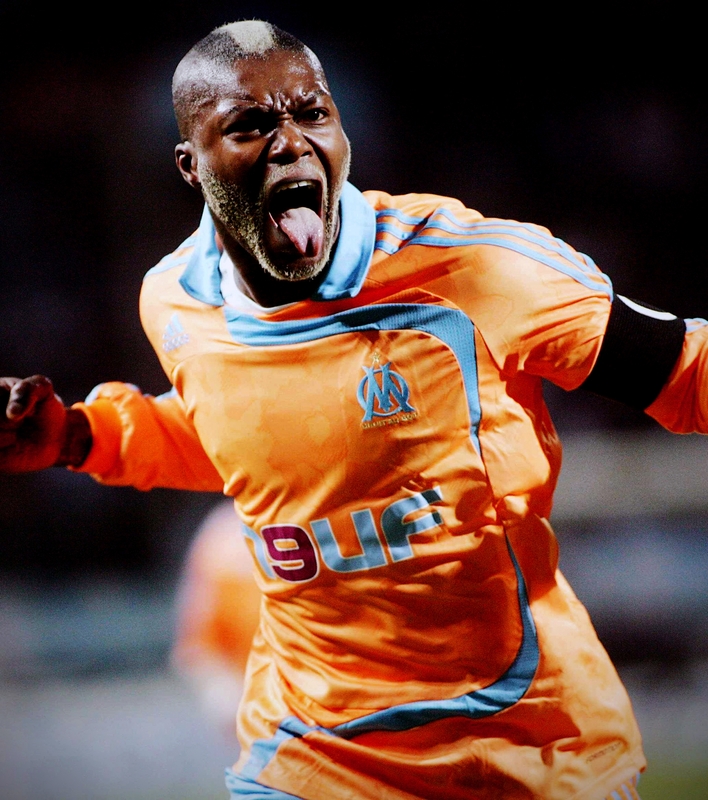 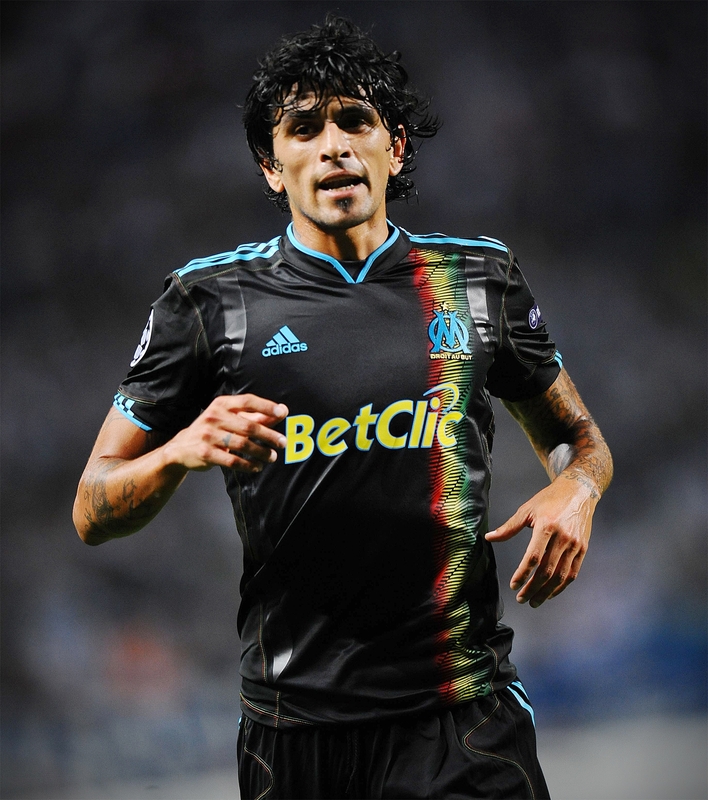 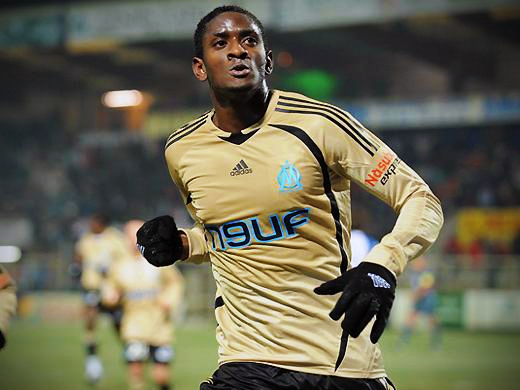 Embracing streetwear trends, the 2007 Olympique de Marseille 3rd kit displays a camouflage pattern incorporating the geography of the city. 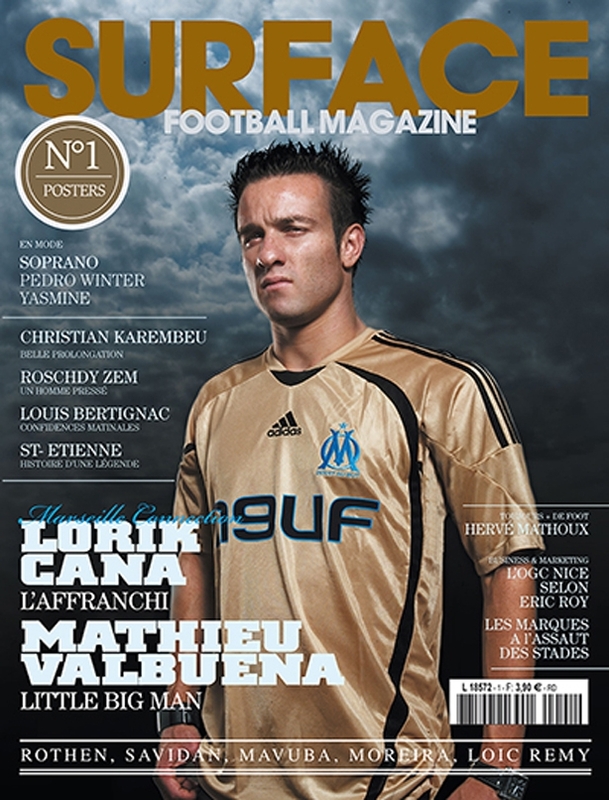 F-50: Je ne sais quoi. 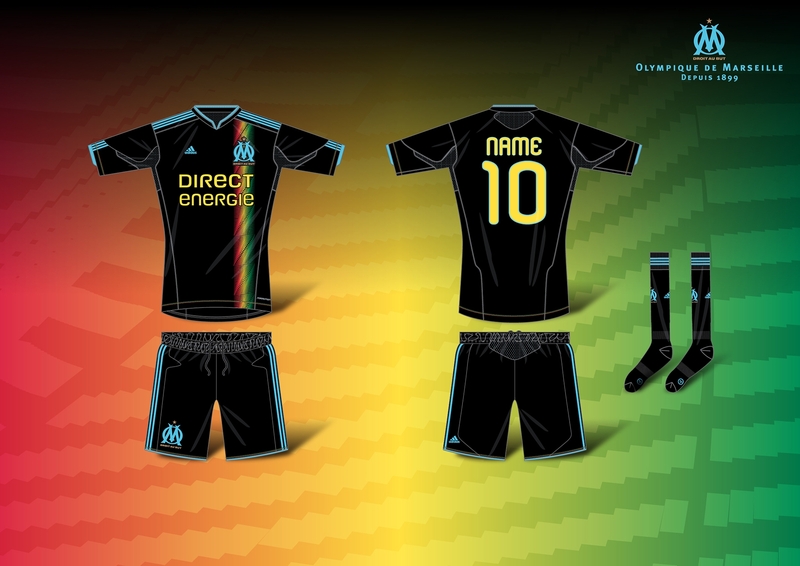 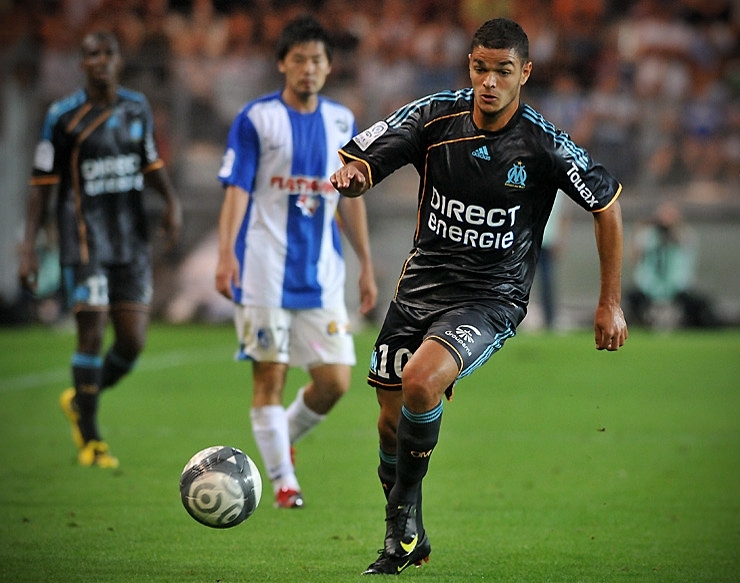 The 2008 3rd kit adopts the F-50 template, a silhouette for an avant-garde club with French flair. 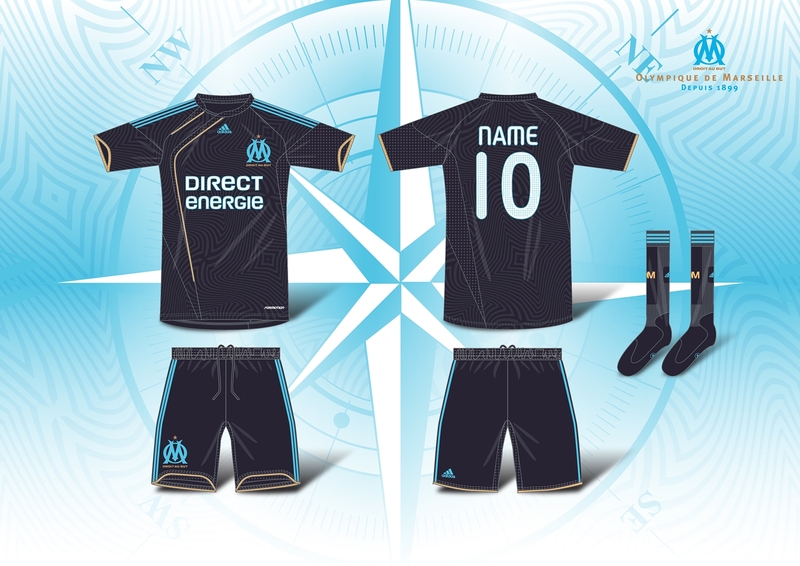 A wavy allover debossing on the 2009 kit merges the cross of the city and the compass, a symbol of Marseille’s maritime past. 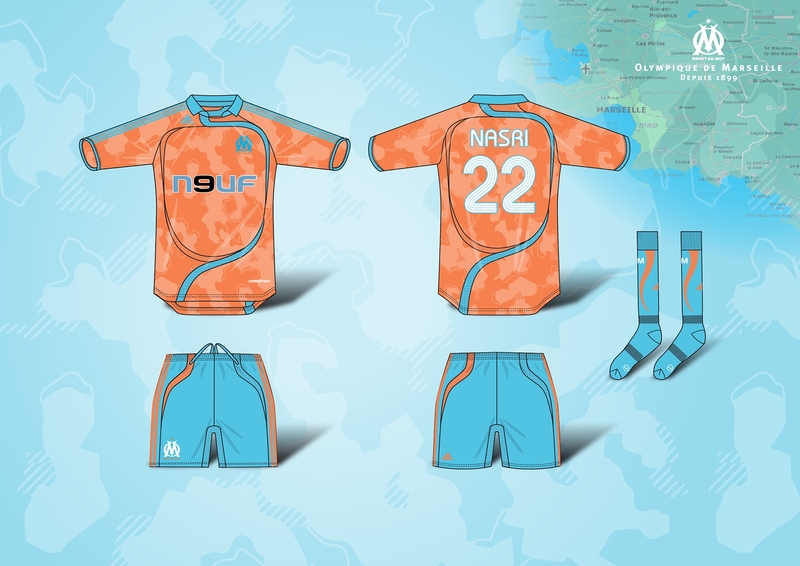 To coincide with the 2010 World Cup hosted by South Africa, this season’s 3rd kit is a celebration of Marseille’s African influence and heritage.